A year ago we introduced you to a small Barcelona headquartered brand called Ophion, courtesy of a new model called the OPH 786. This watch had an outsized ripple of interest for its low volume vintage-inspired pieces using Swiss movements, German assembly and Spanish leather for straps, all under 2,000 EUR. As Ophion stated at the time of this launch, they wanted to provide a watch featuring guilloché at an entry level price point. Not just this, but it was important to them to not go with stamped guilloché but CNC-engraved, for more precise patterns. In addition, they wanted to also include a layering to the dial, courtesy of the hollowed out hour and minute ring. 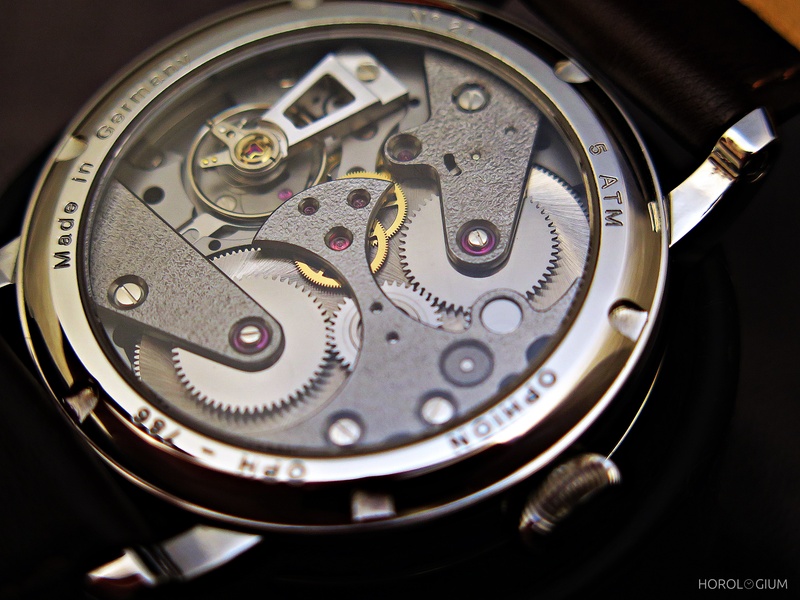 This is a watch about the dial side and not about the (Technotime base) movement, to which they have nonetheless made some adjustments, with redesigned bridges which are machine chamfered, hand hammered decoration, and a sandblasted main plate. 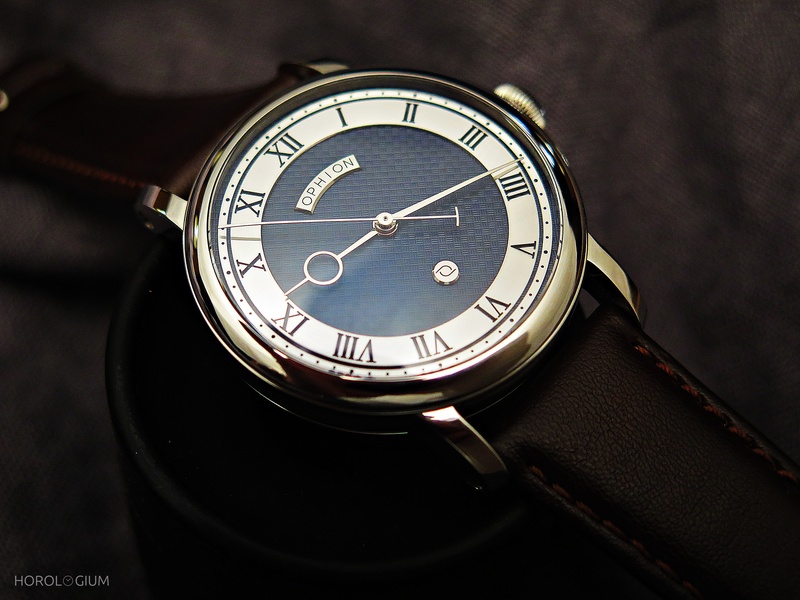 When I originally wrote about this 786 I mentioned that it seemed to be a handsome watch with a classical design aesthetic reminiscent of more well known brands, at a very good (approx EUR 2,000) price point. At a recent gathering in Sydney I finally had the opportunity to see a local collector’s Ophion 786, of which he had taken delivery not long earlier. ‘In the metal’, it is every bit as attractive as the press photographs from its launch, indicated, and despite a small price rise since my original post, it is still very much a very solid ‘bang for buck’ proposition. There were a number of people at this gathering who had not heard of Ophion, and by all accounts, there was agreement about the value this watch provides for the price. If you like the idea of an elegant (and timeless) dress watch at this price point that quite frankly, looks like it costs more than it does, this watch is worth your consideration. Size-wise it’s a 39mm stainless steel case that is 10.35mm thick. The dial’s sapphire crystal is domed. As you can tell from the sizing, it’s nothing particularly large or small, and in a ‘sweet zone’ for many. I wore it for a little while, and it sat comfortably, with enough weight to make its presence known on your wrist. 1. The price for the granular grey dial with nickel hands is 1,890 EUR on a cow leather strap without taxes and shipping. 2. The price for the silver guilloché dial with blue thermal hands is 2,190 EUR on a cow leather strap without taxes and shipping. 3. The price for the blue guilloché dial with nickel hands is 2,190 EUR on a cow leather strap without taxes and shipping. A strap upgrade to alligator costs 80 EUR. For more information and to place an order, go to this link.